Lately, it seems like some new food trends in particular are not so new after all. Take shrubs (also called drinking vinegars), for instance – and no, I don’t mean the bushes in your front yard! I’m talking about a mixture made for cocktails, sodas, and other beverages that involves soaking (and potentially fermenting) fruits, juices, and herbs in vinegar to make a tangy, sweet syrup. These flavorful beverage additions are popular at both juice and liquor bars nowadays. But really, this method is as old as the pioneers who trekked across America. These ancestors used shrubs to preserve fruits and aromatic herbs for long, arduous journeys. They weren’t just made for staving off spoilage, however – they also helped to make medicinal herbs last longer, and even taste better. These old-time medicines tasted so good in fact that they began creeping their way into the bars, saloons, and cantinas of the Old West for their flavors alone. Today, many are becoming a trendy part of signature cocktails and aperitifs, like they once were as rustic relics of the past. But even better – shrubs can be healthy! With the selection of raw vinegars and certain fruits or herbs available, drinks and mocktails made with shrubs can be teeming with probiotics and digestive enzymes – the perfect aperitif, as well as a digestive healer. 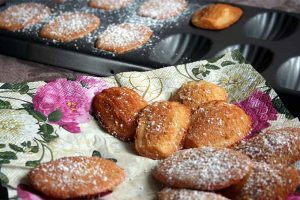 And yes – you can make them yourself, which we’ll take a look at in this article. It’s quite easy! What’s in shrubs? What exactly makes a shrub a shrub – and with so many flavors, what ingredients can you put in them? The better question, though – what CAN’T you put in them (besides the obvious, of course)? I can say confidently that there’s potentially thousands of different recipes out there! In fact, to get the full spectrum of what you can make with them, I would encourage you to get your hands on this wonderful recipe book, Shrubs: An Old Fashioned Drink For Modern Times by Michael Dietsch, which I have paged through myself and drawn inspiration from. It’s a real help! You could make a strawberry version, with a bit of mint. Make an apple shrub, which would make a great addition to an already apple-spiked delicious cocktail. Or, go even sweeter, with pineapple and something that pairs well with it – maybe ginger, or even lime juice. I’ve also seen some intriguing savory ingredients too, such as sun gold tomatoes, or even beets for an earthier alternative. Homemade shrubs offer so many possibilities. When crafting them, a good thing to remember is that you’re going after a trifecta of ingredients. You choose a main fruit (or two), a tasty herb to match (maybe more), and finally, a juice to round it off. 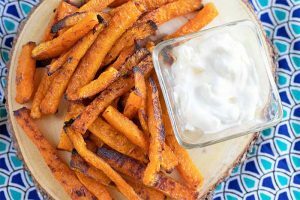 There’s also the simple option: making a single ingredient concoction or a less complicated pairing, which works best when you choose just one or two fruits, or a fruit and an herb. You may also end up adding some sugar at the end, to make the mixture more drinkable and balanced against the vinegar’s acidity. 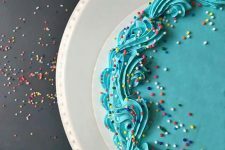 Some (like myself), who would prefer less sugar for a healthier treat (and who don’t mind a stronger acidic taste) can hold off on the sugar at their discretion. 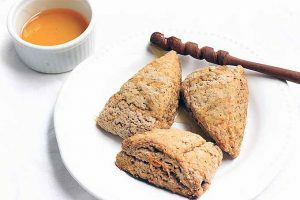 Besides the basic ingredients, there’s a lot more to these delicious refreshments than meets the eye – especially health-wise, which we’ll get to a little later. Here is my basic formula for shrub-making along with many of my DIY herbal recipes. This specific formula was inspired by chef Mary Karlin’s recipe found here, via Mastering Fermentation. Some important notes: you must use some form of raw vinegar in this recipe if you want fermentation to happen, to access all of those beneficial probiotics! Further, you may notice (especially after the straining process) that your packed-full jar yields a skimpy amount of liquid. If this happens, don’t fret! Just remember: you will be adding some juice in towards the end of the recipe – both to adjust the taste, and pad out the volume. Chop your chosen fruits (or veggies like beets or tomatoes, if you’re daring!) and herbs up, if need be. The more chopped they are, the more they’ll release their juices and essences – make sure to remove any undesirable stems, peels, skins, or woody bits as needed. 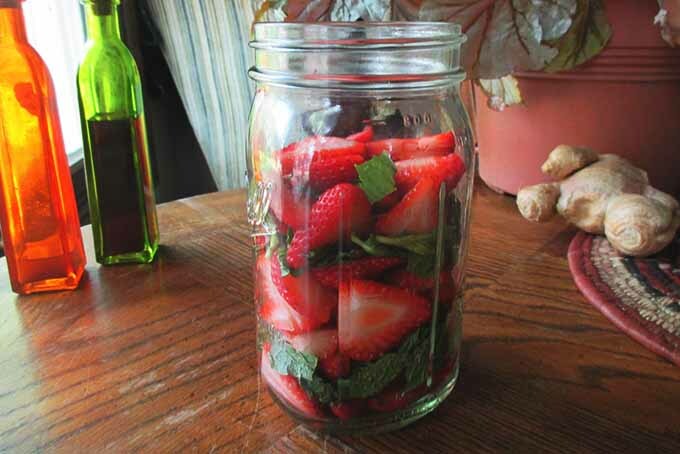 Place all fruit and herbs in jar pack the jar full (with more than what measurements above call for, if desired). Muddle with a wooden spoon or pestle to release juices, oils, fragrances, and other properties. Cover with vinegar, until jar is nearly full, but with about 1 inch of headspace remaining under the rim. Make sure all ingredients are fully submerged, which helps to discourage mold. Place cheesecloth or other breathable cloth over mouth of jar. Screw on the lid ring (just the band, without the lid) onto the jar over the cloth, to keep it in place while allowing air exchange. Leave jar out at room temperature overnight (about 12 hours). You can even leave it right on your kitchen counter. 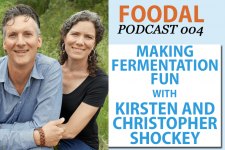 Wild yeasts and beneficial bacteria can then enter the jar, and get the fermentation process going – and keep in mind that fermentation happens best at temperatures around 70°F and above. After 12 hours are up, remove cloth and cover instead with a piece of parchment or wax paper – this will help to prevent the vinegar from oxidizing and eating away at the metal of the lid. Seal the jar up with both the lid and the ring. For the following 3 days, shake the jar at least as often as you can think of it, though more is better (vigorously shaking 2-3 times per day is optimal). This does many things: it helps the ingredients to break up, improves the release of flavors, helps with fermentation, and even lends a hand to the shrub’s natural carbonation. Continue storing jar at room temperature. After 3 days, strain everything out of the shrub liquid through a strainer or cheesecloth, keeping the liquid separate in a bowl. Remove herbal matter and throw away or compost, but keep the fruits. 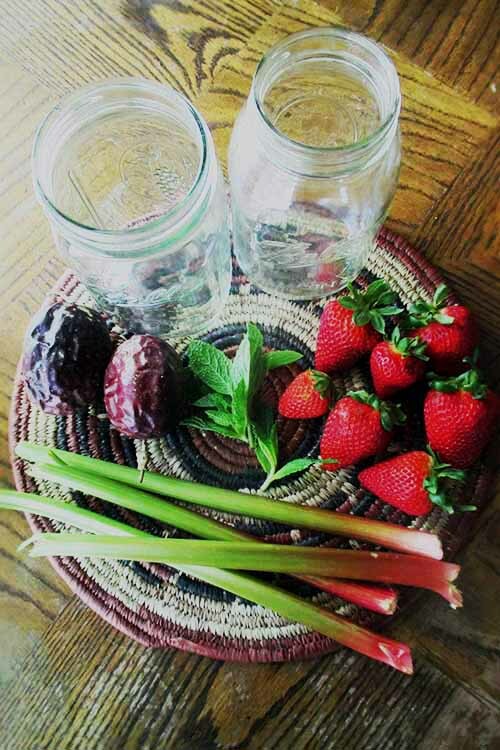 Return the fruits back into the jar with the liquid. Replace the parchment or wax paper, seal the jar closed again, and place in the fridge. Keep it there for 4 days, again shaking it as often as you can all the while – if you’re opening the fridge throughout the normal course of your day, give it a shake. The fruits will continue to break down, ferment, and add flavor to the concoction. After 4 days in the fridge, strain everything from the jar. Return the leftover syrupy, slightly bubbly liquid back into the jar and discard the fruit. Add your chosen sweetener and juice to the jar, making sure to still leave about 1 inch of headspace under the jar lid. Shake well until all ingredients are well mixed, then add an herbal sprig – such as spearmint, lemon verbena, lemon balm, whatever you like. This can be a woody or tender herb of your choice, as long as you think it will taste good! Replace protective parchment or wax paper, place lid back on, and return to fridge completely sealed, where it will sit for another 7 days. 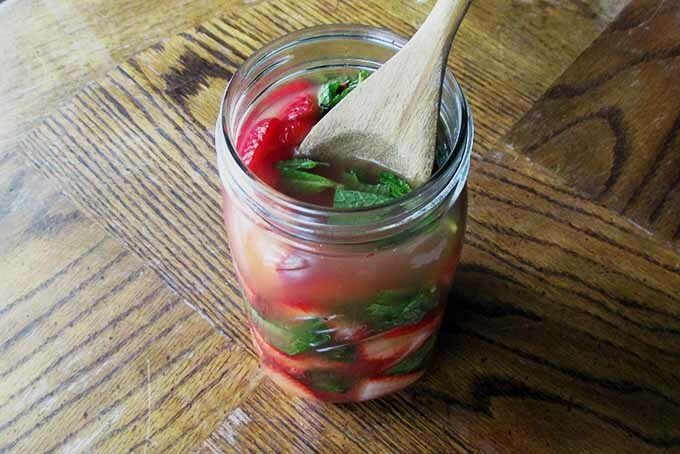 Shake the jar once in a while to help unlock more flavor and fermentation – again, 2-3 times a day is optimum. After that second week, your shrub should be ready to use and enjoy! Adjust flavors with more juice, or sweeten more to taste if need be. 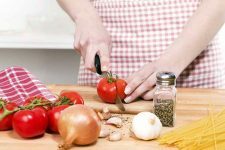 Before you begin, make sure to get all your ingredients chopped up – including any herbs, too, but fruits (and possibly veggies) will need it the most. Step 1. Chop your ingredients. This helps break them all up, making their essences, flavors, healthy compounds, vitamins, and minerals extract much easier into the vinegar. The more you break up the surface area of your ingredients – in other words, the smaller you chop them up – the more flavor you’ll have for a more interesting shrub! Once you’re satisfied with your chopping spree, it’s time to put everything in your quart mason jar. If the measurements of this recipe don’t fill up the jar all the way – no problem! If you have a little extra to give, or you want the flavor of one ingredient to stand out more against another, put it right on in posthaste. Step 2. Pack jar full with ingredients. Then on to the next part: with a wooden spoon (or, fancy muddler or pestle) churn up, smash, press, and stir the ingredients to get them ready for the next step: vinegar. Next, pour your vinegar over your chopped and muddled ingredients, until everything is completely submerged (if some bits float, push them down gently with your wooden spoon or muddler until they are). Step 3. Pour vinegar over ingredients. Leave about 1 inch of air space under the rim. 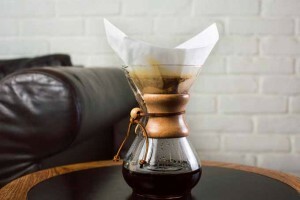 Your fermentation will do better with a bit of oxygen! 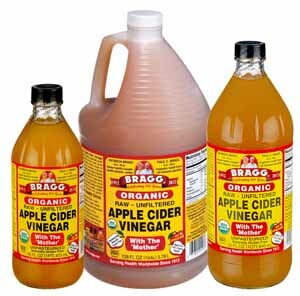 As the recipe up above says, my preference is for raw apple cider vinegar – most notably the Bragg’s brand, which still includes bits of the mother of vinegar, and makes the perfect catalyst for fermentation. However, other raw vinegars can work, such as coconut or red wine vinegar – just as long as it’s raw. In some instances, types other than apple cider may work better flavor-wise with certain fruits and herbs you choose, so keep that in mind! If you want to give it another stir and smash with your wooden spoon again, feel free to go ahead (and it can’t hurt). Step 3. Muddle shrub before covering. Take your cheesecloth (or a thin, clean, breathable washcloth – that works too), and drape it over the mouth of the jar. Holding the cloth in place, you will want to screw the lid (just the ring – leave the flat metal disc part aside for now) on to the jar over the cloth, so it keeps the cloth in place. Next, you’ll leave this jar out at room temperature for 12 hours, and play the waiting game. Making your shrub in the evening, then letting it sit overnight right on your kitchen counter, works perfectly. Step 5. Cover shrub with cheesecloth or thin fabric. What does this do, waiting with a cloth over your open jar? Well, it helps keep up a barrier against insects and pests, while allowing wild yeasts and lactic acid bacteria (the good guys) to settle in your shrub. These wild-caught micro-organisms will be the preamble to fermentation over the next week – forming a unique colony of probiotics, alongside the acetic acid bacteria already present in the vinegar. Want a little extra probiotic action? Leave the jar out on your counter a few extra days, if you’re feeling brave (I do this often). As long as everything’s submerged, no mold or bad stuff should grow. After those 12 hours are up, remove the covering cloth and replace it with a piece of wax or parchment paper (make sure it covers the mouth of the jar entirely). You’ll need this as a barrier between the vinegar liquid in the jar and the lid. And why is that? 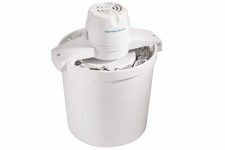 Because you’ll be fastening on the stainless steel lid again – this time including the flat, covering disc part, so you can fully capture and let your wild micro-organisms colonize and carbonate. Step 6. Seal up your jar. You’ll also be giving your drinking vinegar a good shake here and there, making vinegar wash up against your stainless steel lid. Vinegar is quite corrosive when it contacts metal, so that parchment paper will prevent black, yucky rust from forming in your concoction! With lid fastened on and parchment paper in place (this is quite important – who wants to shake an open jar of vinegar all over themselves? ), you’ll be giving your jar a vigorous shake as often as you can think of it over the next 3 days, keeping your jar at room temperature. When I make my own, I tend to shake my jar twice per day- once in the morning, and once in the evening. If I remember to do it again anytime in between then, that’s a plus. Ultimately, 2-3 times per day is optimal, but even more is better. 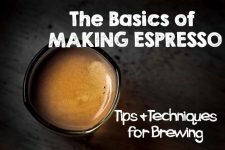 Shaking up your shrub greatly helps with the fermentation process, as well as giving your creation that syrupy, carbonated texture and flavor that is so wildly popular. 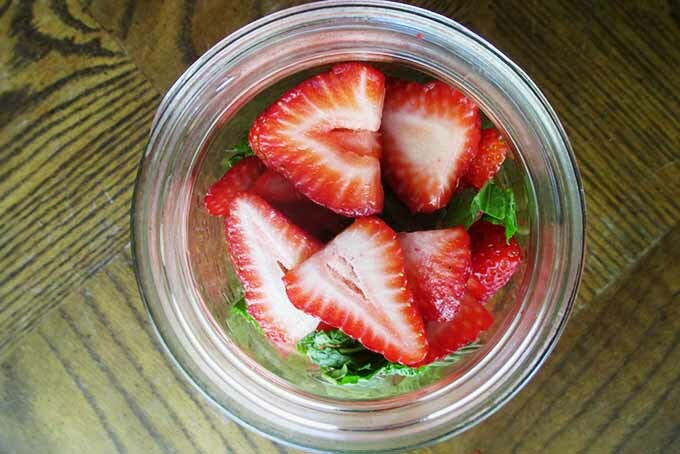 After 3 days of shaking and patience, unscrew the lid from your jar, and pour all the ingredients out over a strainer and into a bowl – keeping the fruit and herbs held in the strainer, and liquid separate in its bowl. From the strained matter, pick out as best you can any herbal matter you added in the beginning. Step 8. Unscrew lid and strain. In my recipe here, that would be the leaves and stems of the fresh spearmint I used – but maybe you used something different, like lavender, parsley, or cardamom seeds. You can use a fork to get most of it out, or food-grade plastic gloves. 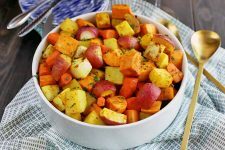 It’s not a life-or-death matter to pick out every single last piece of the herb – only to get most of it out, so its presence doesn’t overpower the flavors of the fruit or other ingredients that you’ll want to be stronger in your blend. Once you’ve done your best, return the vinegar liquid and fruit all back into the jar. Replace the parchment paper with a fresh piece, seal it closed with ring and lid again, and this time, you’ll let it sit in the fridge for 4 days, shaking it all the while (2-3 times per day, or as much as you can). The fermentation process will still happen, but it will be slowed down – allowing the shrub to thicken and chill, especially from all the natural sugars pulled from the fruits. Following the 4 days in the fridge, pull your jar out, and this time you’ll strain out all the fruit, keeping the liquid separate in a bowl. You won’t be keeping it this time – toss it out or compost it. 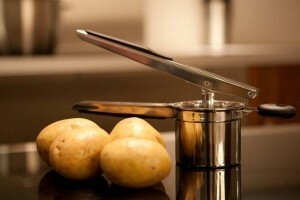 If you feel called to do so, though, try squeezing a little extra vinegar out of the fruits using a spoon or fork through the strainer, or even a gloved hand before you throw it away. This is where the creative part happens (or can happen): it’s time to add your chosen sweetener, juice, and an herbal sprig for a finishing touch. You can choose any sweetener you like – honey or sugar, or stevia if you want to skimp on the sugar. Step 11. Add your herbal sprig. The same goes for that herbal sprig. Spearmint is a popular favorite, but don’t limit yourself! Maybe give lemon balm, rosemary, even cinnamon a try. When putting all ingredients in the jar with your shrub, just remember to continue leaving about 1 inch under the rim for some free airspace. And of course: feel free to tweak the amounts if you need to. 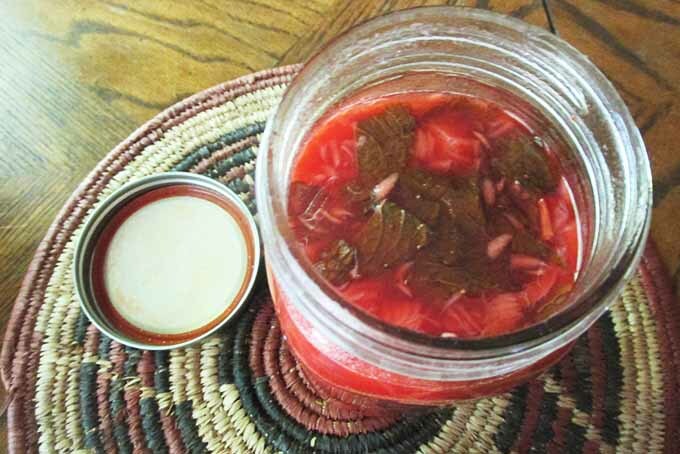 Now is the time to make your concoction taste how you want it – more or less sweet or acidic, but remember that your shrub will still have another week ahead to ferment! With all ingredients in the jar and set to go, cover it up with the lid again – replacing the old wax paper one last time with a fresh square. 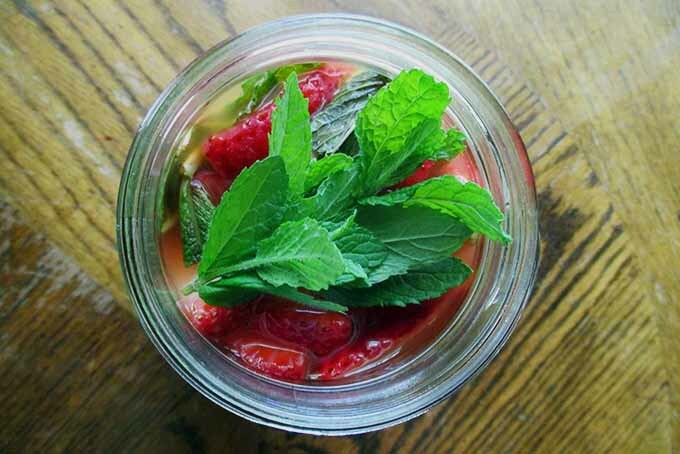 Thus comes the last week of your shrub-making, which consists of 7 days of keeping your jar in the fridge to chill. Make sure to remember to shake it – 2-3 times per day is optimal! 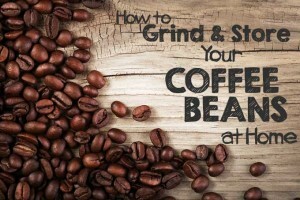 After 7 days of refrigeration and shaking, your recipe should be ready! Give it a taste – and adjust with a bit more sweetness, juice, herbs, or whatever else comes to mind. Step 13. Serve and enjoy! 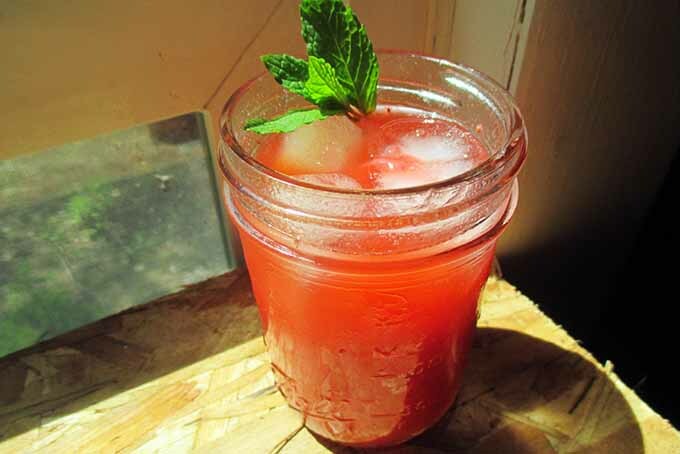 Now, how to enjoy your homemade shrub? If you like making your own cocktails at home, experiment! Depending on the fruits and flavors you’ve chosen, your new creation could add an interesting twist to your favorite refreshing drink. A cranberry shrub could add a little extra tang and dimension to that cosmopolitan you love. Love Moscow mules? 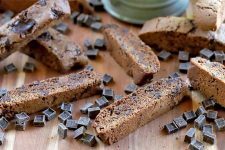 Make a ginger version, perhaps with a citrus fruit included, to add a little kick. You can also add your sour syrup to tonic or seltzer water, club soda, or fizzy kombucha for a refreshing beverage or mocktail. My typical serving ratio: one part shrub to two parts fizzy mixer or other beverage right in your glass, using whatever you choose. It could even be a fruit juice, if you like. Of course, feel free to tweak this ratio to your tastes. Sans the alcohol (and sugar, if you choose), drinking vinegar beverages can actually be very healthy – a nice alternative to an alcoholic drink if you’re trying to cut down. 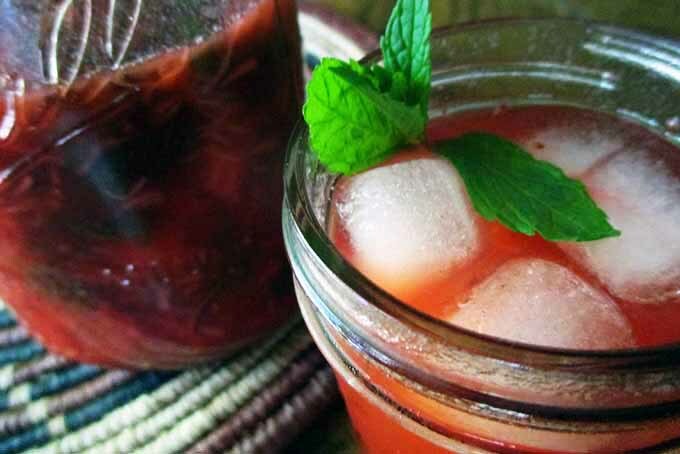 On their own, shrub drinks and drinking vinegars can be a nice little health booster. Especially if you opt to use raw apple cider vinegar (which still contains the vinegar mother), you’ll have a beverage chock-full of natural acetic acid bacteria, the same strains that are found in probiotic dairy (like yogurt and kefir). 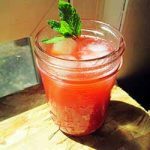 Letting your shrub do some fermenting will amp up this probiotic activity as well – but here is a more complete list of the potential benefits you can expect in your mocktail. Take note: if it’s a cocktail, it’s arguable that alcoholic beverages may contain fewer live probiotics, thanks to the addition of the alcohol. Considerable amounts of acetic acid bacteria may help to stabilize digestion, soothe allergies, and more, as shown in these studies (here and here). Raw apple cider vinegar preserves nutrients from foods that you add, and has been shown to increase the digestion and absorption of certain minerals in this review written by a registered dietitian. Polysaccharides, volatile oils, and more healing compounds from the foods you include will be preserved. For example, you’ll get the digestive enzyme bromelain if you add pineapple; or if you choose rosemary, you’ll have rosmarinic acid in your shrub: a powerful antioxidant. The potential effects of these contents sound fairly promising, especially for a simple, healthy drink you can enjoy at home. Probiotics from the raw vinegar (boosted by fermentation) replenish your digestive system’s microflora, promoting regularity. Those with food, seasonal, pollen-, or dust-related allergies may experience relief from probiotics. Live cultures that can be found in shrubs may attack and prevent the spread of cancer-causing cells, as observed in this study. Raw vinegar has been shown to reduce hunger and fasting glucose in the blood, a helpful therapy to diabetics described in a study here. A combination of digestive powers and reducing fasting glucose can help to achieve or maintain a healthy weight. 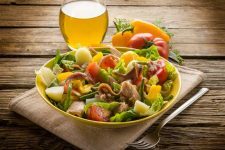 When added to prepared foods, a shrub with raw vinegar could help remove bacteria and even added chemicals because of its intense acetic acid amounts while improving taste, as studied here. 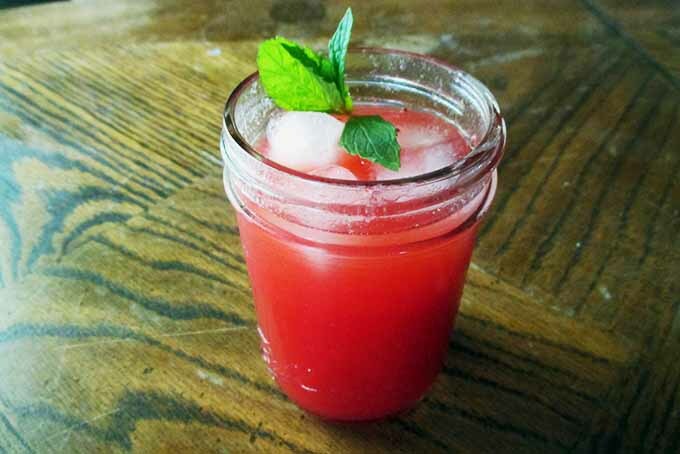 With these potential health benefits in tow, using a shrub mocktail as a daily tonic could offer additional help to a few minor ailments and issues, especially where digestion is concerned. Or you could use it like some people take a daily dose of apple cider vinegar: on its own, or drizzled on meals like fresh salads or stir fries. Try taking a couple tablespoons a day as a raw vinegar probiotic supplement, especially with a glass of water a half hour to an hour before meals, as an aperitif. This could help with digestion, blood sugar levels, satiety, and apparently nutrient absorption and taste as well! I hope this article has inspired the craftsman (or craftswoman) in you to get creative, and start shrub-making! My experiences with shrubs so far have incited my own culinary creativity, that much is for sure. Even better – with a few shrubs already fermented and ready to go in my fridge, I will mix and serve myself a healthy, alcohol-free mocktail when the mood strikes, instead of always feeling like I need to wind down with a cocktail or other boozy beverage. But, come on, sometimes you can’t resist some extra zing and fun from a homemade shrub mixture added to our boozy blackberry lemon cocktail. 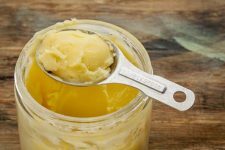 Sometimes, these handy shrub concoctions have also helped with minor ailments or digestive upsets – and it has also made a great salad dressing replacement, marinade, and topping! Please remember to talk with your doctor before using shrubs for health, especially if you have a chronic illness. Have you made your own shrubs before? What are your experiences, secrets (if you’re willing to share! ), favorite ingredients, or tricks? Talk to us! Comment below in our comments section – I would love to hear from you! Recipe photos by Adrian White, © Ask the Experts, LLC. ALL RIGHTS RESERVED. Bragg product photos courtesy of Bragg Life Food Products. See our TOS for more details. The picture caught my attention. I thought the picture looked like a local drink we have here called “tuba” (Luzon) / “bahal” (Visayas where I’m from) or palm wine. When I was younger, there were many coconuts where I live and the locals make a living making vinegar, and sometimes the palm wine. I use to remember that these palm wine tasted very sweet. The taste actually depend on how good the maker was. I remember enjoying this sweet concoction as a child. But since it’s considered alcoholic, we only get to sip a little. Reading through the article, I can’t help remember if the ‘tuba’ would have tasted greater with the addition of fruits as done in this mocktail. Saravet – I have never heard of palm wine, but now I will never forget it! I bet it would be very interesting to experiment if you were a maker of palm wine, and see if adding certain fruits made it taste better. Another option you could do: a wine-soak, by soaking chosen fruits in a jar of palm wine and THEN making a shrub with it, by adding the vinegar. My first thoughts are pineapple or mango as a combination with the coconut, as a tropical theme. I did something similar to this once: a white wine soak of honeydew, before making a honeydew-cardamom shrub (which tasted amazing, by the way). Oh my mistake, tuba/bahal are actually the same term used in the Visayan islands for palm/coconut wine. While it’s called “lambanog” in Luzon. Perhaps you might heard of it. It’s like poor man’s version of wine, or sometimes described as coconut vodka! Tuba (or the coconut sap) is collected from a tree in just a day. 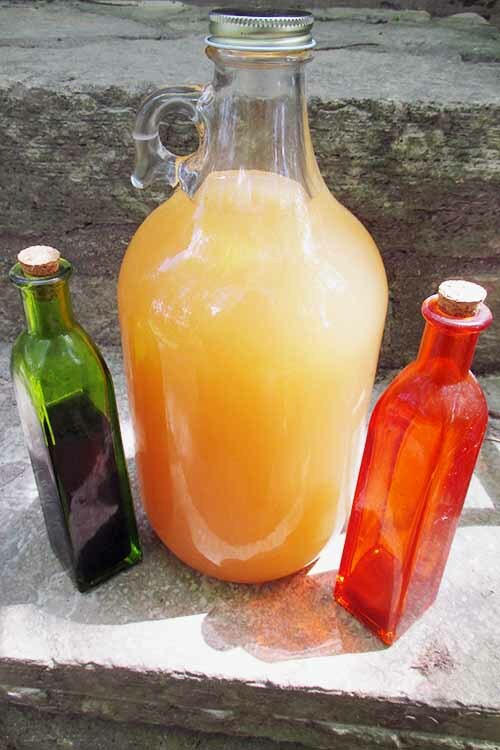 If allowed to ferment for 45 to 60 days, it can actually turn into vinegar! So, was imagining that perhaps this concoction with the addition of the fruits, are in a way considered a form of “shrub” already? After all, with fermentation the tuba actually turns to vinegar! Nevertheless, I think it would taste good with the fruits suggested. Some actually add peanuts in their tuba. Thanks for clearing that up for me a bit more, Saravet. The way you describe that, it does indeed sound a lot like it would literally fit the definition of a shrub! You can make shrubs out of a type of coconut vinegar that you could make in the states, so it is indeed quite close. And wow – peanuts added would sure be interesting! What I love about this concept is the ability to expriment with combinations of fruit, vegetables and herbs. I was thinking of ingredients I’d love to try as I was reading. I love beetroot, for example, and my favourite herb is coriander. From a health point of view I shall be passing this article onto my daughter she has recurring kidney and candida yeast infections ever since her kidneys were invaded by e.coli 14 years ago. I’m sure that she can use this method to find shrubs that will help her. Beets and coriander sound great, Julie! My favorite blend (that I’ve been sipping on the past couple weeks) is made with beets, peaches, strawberries, agrimony, and lemon verbena. Even a veggie that people dislike the taste of can still be incredibly delicious and well balanced by other flavors, and you still get some nutritional benefit. I’m sure your daughter could get a lot of help with a past illness like that through shrubs and drinking vinegars. When I was young I had a similar infection when I was only 8 years old! 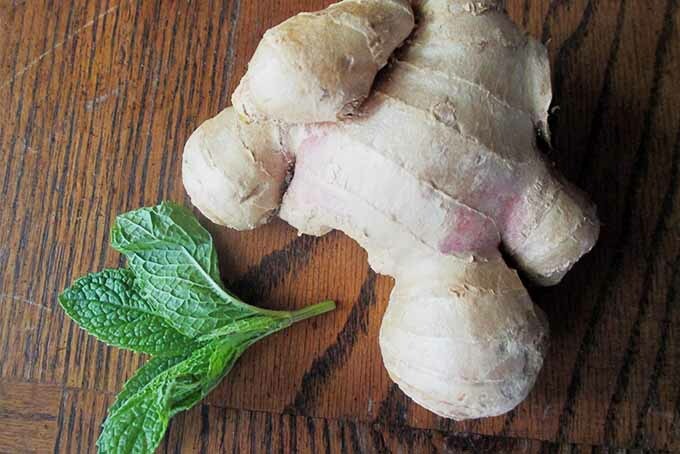 And with the advice of a doctor, herbalist, or other health professional, she could make her own with herbs and foods healthy for the kidneys – and it could go a long way. Thanks for reading, Julie! Wow! Looks like these drinks are all round good guys! I have to admit however, that I’m more interested in how delicious they look! We’re having the worst kind of summer in Bangalore at the moment, and these would go down really well. I’m already having fond visions of myself as Bangalore’s most popular host thanks to the wonderful drinks I’ll be serving at my parties. ???? To some, I’m sure the intensely sour vinegar part may be a turnoff. 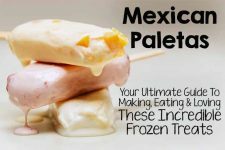 But what’s lovely about these is that during that second week of refrigeration – and over time after you make them and store them in the fridge, too – that sour flavor really rounds out and mellows. Combine that with a bit of sweetness, and it’s amazing to the taste – and I must add, very thirst-quenching for a hot summer (yes, even in Bangalore)! No, I have never made any shrubs before, however, after reading this article, I’m very interested in the process. Honestly, I wasn’t even going to read the article because I thought it was going to expand into alcoholic drinks, and I rarely drink, but the photo really caught my attention and the post was so well written, I’m really intrigued and want to learn more, can’t wait to read the book that you recommended too. Thanks! Thank you for reading, atlmom5. That’s the lovely thing about them: you can have them with alcohol or alcohol-free. Anyone can enjoy them! They taste equally good with just a tonic water, or supporting a more fancy cocktail. 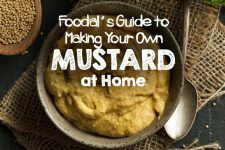 I would highly recommend that book for sure – it blew my mind fully open to what can be possible with this recipe! These drinks look amazing, especially for this hot summer that is about to come! I honestly never made shrubs before, but the process and end product seem interesting enough that they make me want to try them out. We’ll see how it goes! Summer is really the best time for shrubs! As an herbalist, I select specific herbs, fruits, even tasty veggies sometimes (like beets) to make blends that help cool you down and open up the pores. 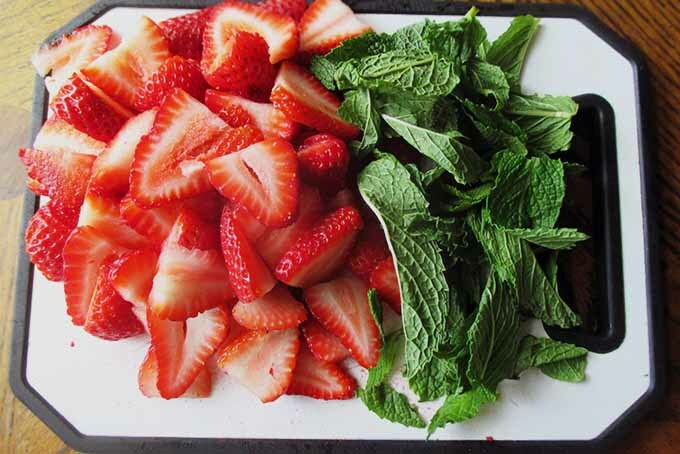 Something with mint and strawberry for example can help promote a nice, cool sweat if you are working, enjoying the outdoors, or even jogging or working out as a post-exercise drink. I have had amazing results from it! I love drinking apple cider vinegar, but adding flavors would be nice too. This is definitely something I will be saving. Thank you! You’re welcome, Jayda! 🙂 Thank you for reading! What versatile, healthy, drinks. This sounds like a great way to boost probiotic and plant nutrient intake, easy and delicious. I will definitely have to try this as I am not a fan of yogurt or kefir. I love herby, tangy, fruity drinks so this will be perfect. I can’t wait to experiment with different fruit and herb combinations. Lebrannan – I love them so much, too. The only downfall: they’re so good that you drink them too fast, and its 2 weeks until you can enjoy another! That’s why I make multiple versions at the same time. I hope you enjoy and have fun with the recipe, feel free to share what you come up with. And thank you for reading! Those drinks looks amazingly refreshing and even more when it’s already summertime! 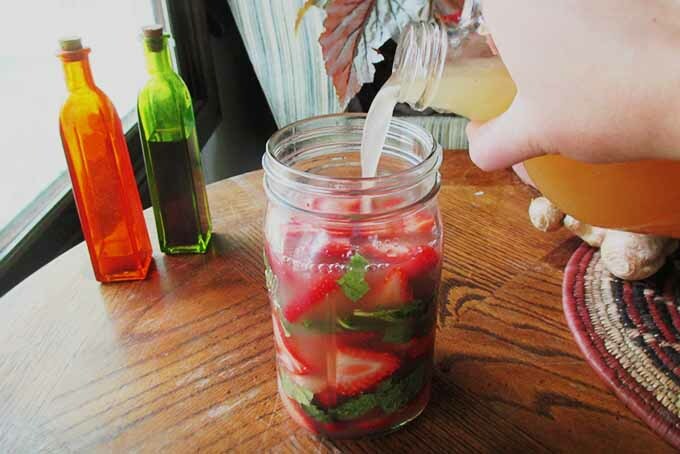 Your recipe kind of reminded me to infused waters, have you tried them? I’m a big fan since I don’t really like how water taste like, and I think that sodas/iced teas have big amounts of sugar, what isn’t really that healthy. 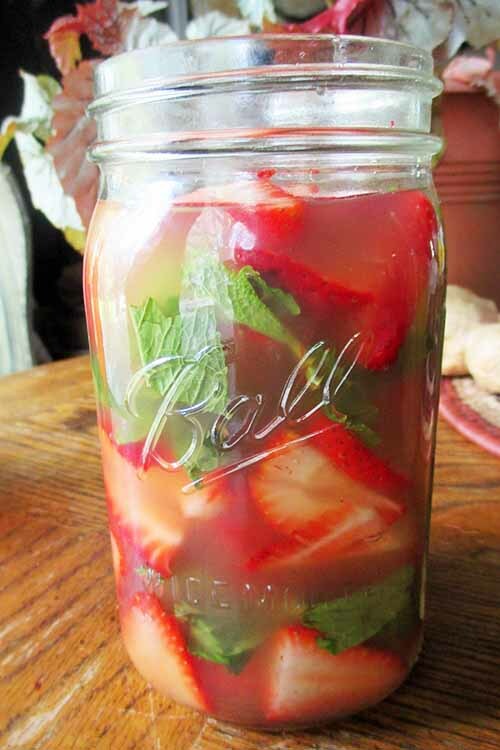 I will definetly try this one, it seems a little bit strong version of infused waters and as you’ve said, we can make them more healthier than soda, I guess. This is a really comprehensive article. These beveragess are a great healthy alternative to other overly sweet fruit drinks. They are also great tasting ways to improve digestion and keep your stomach balanced. I’ll definitely be giving these a try. You’re definitely right about that, Eatwell. Along with drinks like kombucha for example, they would be a great replacement for a craving for soda pop or soft drinks. Then again, everything in moderation – these drinks have quite a bit of acetic acid which, when taken in too much, can contribute to hyperacidity issues! Thanks for reading. I will have to agree although I may not be very keen on some of the fruits, I like keeping mine simple in order for me to drink it, the more complicated it is, it takes a while. Definitely understand there, HealthandVitality. 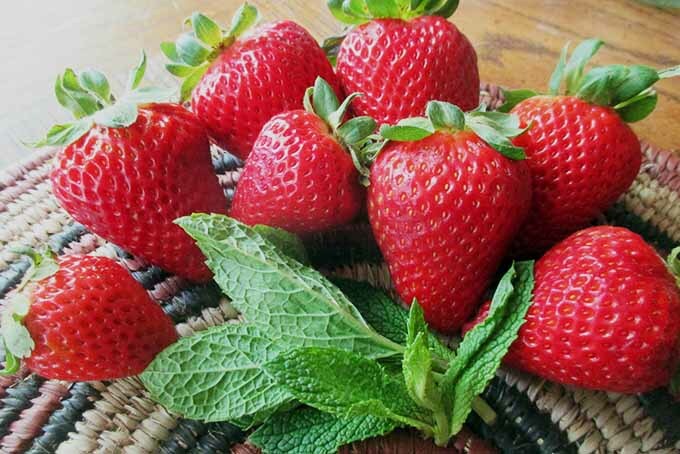 If it helps, start out simple, with just one fruit you’re comfortable with (strawberry or raspberry is great – or pineapple). Then, if you’re feeling adventurous, add a well-paired herb in there as well. I’m sure you’ll like it. Thanks for reading! What a tasty-looking way to incorporate more vinegar in the diet, which can be tricky for those with fussy palates. Vinegar is great for so many things, and relaxes the endothelial lining of our arteries, which is particularly helpful for those with high blood pressure or any other circulatory problems. And you could experiment with so many different herbs and spices as well! I think I might give it a shot with a turmeric and ginger concoction of some kind… Thanks for the food for thought! This sounds very interesting and tasty. It’s making me thirsty! I had heard of shrub before and didn’t know what it was. I’ve seen it in old books (Dickens) and I’m guessing it was a fairly common thing back then because there was no explanation at all about what it was. I always had the impression it was alcoholic but maybe they used to ferment it more back then? I would kind of like to try this. My husband makes kombucha now and then but he prefers a straight tea flavour whereas I enjoy fruit kombucha better. Maybe I will have to make some shrub so I can add it to my serving of kombucha! Once made do they need to stay refrigerated? Hi Karen! Thanks for reading. Yes, it’s best that they do stay refrigerated, though vinegar has some very strong preservative properties. Leaving it out for a day or two won’t ruin your creation. In fact, it may get it bubbling and add a few more probiotics there for a bit! But I would recommend against leaving it out anywhere close to a week or longer. 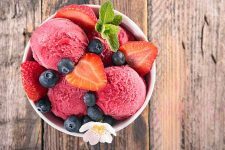 If you’ve got sugar and residual plant matter in there – whether from fruits, veggies, or herbs – there could be the risk of molding or things going funky, and that’s no fun. Have you ever made a shrub with bay leaf? I’ve come into a bunch of them and have used as many as I can in the “traditional” sense! 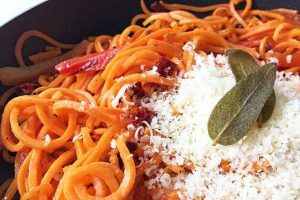 Your recipes look wonderful – can’t wait to try them. The one thing I may have missed is whether you need to refrigerate the shrubs after you have finished making them. 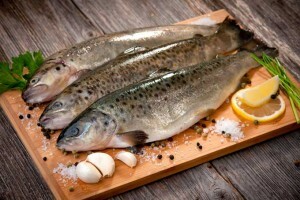 Many of the websites on the subject say you need to refrigerate them but a couple of websites that sell the finished product say that they can be left at room temperature. And I read that, in colonial days, this was the purpose – to preserve the fruit long after the growing season. I am hoping to find something that doesn’t have to be refrigerated as I have a bar area in our apartment and I’d rather not have lots of booze – would prefer beautifully colored bottles with different shrubs. Hi Sara, thanks for your question! I have my own collection of brightly colored glass bottles in a sunny window so I definitely see the appeal- but these bottles are empty, since whatever’s contained within will tend to spoil eventually. See a few of the above comments and responses – unless you will be consuming your shrubs within a week or less, we do recommend refrigerating them. And even if they will be consumed quickly, they should always be stored in a cool, dark place if you plan to keep them outside the refrigerator. They are preserved foods, but we had a different understanding of food safety in Colonial times – and colonists in some areas actually built their stones houses over springs for cool storage, an early form of refrigeration! Theoretically, if you made your shrub using safe canning practices and were to seal batches in sterilized bottles, you could keep them on display at room temperature until they are opened- but again, canned items should also be kept in the cool dark, out of direct sunlight. The same goes for fruit-infused alcohols. At the very least, if kept at room temperature, the color and flavor will diminish with time. My cherry/cucumber/mint shrub is ready to go in the fridge – but I’m not clear on the directions for covering it. Should I use only the lid ring and parchment paper? Or parchment paper under the sealing lid – along with the lid ring – to protect the sealing lid? I had the same question as I fermented it for the first few days, as well, but opted for just parchment paper and the ring to offer a little air exchange. Yes, in step 6 you want to use parchment inside the metal jar lid to help prevent rust from forming. This should help to keep the smell down a bit as well, if that’s a concern- but that’s too bad! I guess your husband won’t be partaking in any of your shrub? Sounds like a delicious flavor combo. For the first few days, using breathable cheesecloth is actually your best bet, since it will allow for better airflow than something like parchment. If you don’t have any, something like a clean kitchen washcloth can also work. Happy fermenting, and thanks for getting in touch! My husband and I read your article and are definitely going to try making our own shrub using your tips. Thank you for sharing your recipe and ideas! We were wondering how long it will it stay good for in the fridge after the 2 weeks is up? Thanks for your question, Kerbeth. 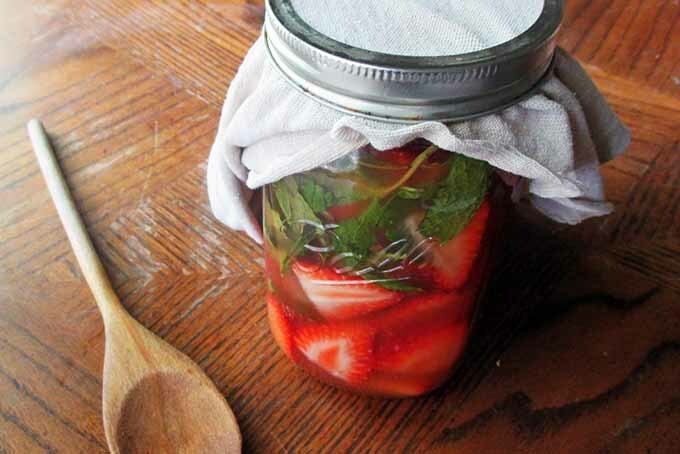 If your aim is to store your homemade shrubs in sterilized jars in the refrigerator for long-term later use (without taking the lid off) the general consensus seems to be a maximum of about 6 months. If you’ll be opening the jar and using it regularly, the maximum time for fridge storage is about 6-8 weeks. Keep in mind that reliance on your senses is always important when you’re making ferments at home- when in doubt, throw it out!